Consider this your ultimate goose hunting guide. 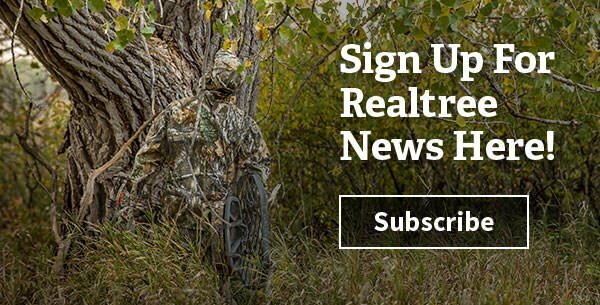 This mega-feature includes loads of tips, tactics and advice on goose hunting, plus links to in-depth videos and articles that can help beginning waterfowlers and field-blind veterans pursue geese more effectively. There is a caveat. Reading this article and clicking on the associated stories and videos will help you along your journey, but study alone won’t make you a goose hunter. You must go afield and learn the finer points yourself. Doing so will involve mistakes and failure, but those frustrating episodes reveal the best lessons. You’ll soon find that geese — whether light or dark, small or large, spring or fall — are full of surprises. And that’s the true joy of goose hunting; figuring out how to overcome those challenges. So start here for the basics. Then grab a call and a shotgun this fall. The world of goose hunting awaits. These are probably the most widely distributed geese in North America, and the most common example is the Canada goose (Branta canadensis), or honker (named for its distinctive call). Biologists recognize seven subspecies of Canada geese: Atlantic (canadensis), interior (interior), Moffitt’s (moffitti), Vancouver (fulva), dusky (occidentalis), lesser (parvipes) and giant (maxima). The subspecies vary considerably in size and markings, but all can easily be recognized as Canada geese, with both sexes having a black head and neck, and a broad white cheek patch that runs from their throats to the rear of their eyes. Canadas nest across inland North America, and Ducks Unlimited’s website points out that subspecies nesting farther north are generally smaller, and those farther west are typically darker. Canada geese are herbivores, feeding mainly on grasses, aquatic plants, soft mast and, especially during spring and fall migrations, waste grain. Their grain usage varies depending on regional agricultural and harvest patterns. Often, birds begin feeding on early-harvested small grains — such as oats, rye, wheat and barley — during late summer, after they’re finished with their annual molt. As larger grains higher in carbohydrates become available — corn and soybeans, for example — geese might switch to them before and during autumn migrations, and again in spring. Honkers also like greens, and they’ll feed extensively on grasses and mowed hay (alfalfa) fields. Honkers typically start to migrate in late summer or early fall, but many hardy birds stay well into winter in Northern areas if open water and sufficient food remain. Canada geese have relatively small broods of two to eight goslings. They typically congregate in family or extended family groups in early fall but often coalesce into large flocks during autumn and spring migrations. Honkers typically start to migrate in late summer or early fall, but many hardy birds stay well into winter in Northern areas if open water and sufficient food remain. Numbers of resident (nonmigratory) Canada geese have increased tremendously in recent years, often inhabiting urban and suburban areas and sometimes creating conflicts with humans. Special seasons, often held before standard seasons that coincide with the fall migration, have been enacted in many areas to reduce these populations. Cackling geese are the other notable North American dark geese. Cacklers resemble Canadas but are typically much smaller and differ somewhat in plumage. Biologists generally recognize four subspecies of cacklers: Taverner’s (Branta hutchinsii taverneri), Richardson’s (hutchinsii), Aleutian (leucopareia) and cackling (minima). Cackling geese breed in northern Canada and Alaska and winter throughout the United States, western Canada and northern Mexico. They often migrate relatively early, and hunters encounter good numbers of cackling geese in ag fields while hunting Canadas. This grouping basically covers tiny Ross’s geese and their larger and far more numerous cousins, the recently problematic snow geese. Snows have white and blue color variations, and birds with the latter plumage are called blue geese, even though they’re the same species as snows (Anser caerulescens or Chen caerulescens, depending on your taxonomic preference). Snows fall into two subspecies: the greater snow goose (atlanticus), which nests in northeastern Canada and migrates along the East Coast; and the slightly smaller, far more abundant lesser snow goose (caerulescens), which nests from central Canada to the Bering Strait, often in areas of Arctic tundra. Lesser snow goose numbers have exploded the past 40 years. Ducks Unlimited reported that some biologists now believe the lesser snow goose population exceeds 15 million (compared to about 1.5 million Ross’s geese and 1 million greater snow geese.) Why? Scientists generally agree that the birds have benefited from increased agriculture in their migration routes and wintering habitat, supplying them with almost unlimited food, which has led to better survival and reproductive productivity. The resulting population boom has wreaked havoc on Arctic and subarctic ecosystems where the geese nest. The birds use their short, strong bills to "grub" for vegetation and, because of their unnaturally high numbers, have destroyed hundreds of thousands of acres of fragile coastal marine and freshwater habitat. In the late 1990s, North American regulatory agencies enacted regulations to reduce lesser snow goose numbers. Spring seasons were opened, bag limits were increased or eliminated, shooting was allowed one-half hour after sunset, and the use of unplugged shotguns and electronic calls was permitted. The measures have resulted in a large increase in snow goose harvest but have not greatly reduced goose numbers. Regardless, snow goose hunting is now a fall, winter and spring affair, with spring seasons attracting lots of attention from waterfowlers with few other hunting options at that time. The North American representative of this group is the greater white-fronted goose (Anser albifrons), commonly called the specklebelly, or speck, because of the black-and-white markings on the chests of adults. White-fronts fall into two populations: Mid-Continent and Pacific, the latter of which has increased recently. Three small subspecies of specks occur in North America. All are limited in range and almost identical, differing only slightly in size. North American specklebellies (the birds are actually circumpolar) breed near the Arctic Circle from Alaska to central Canada and typically migrate very early. They’re known for their high-pitched two- or three-note laughing or yelping call and are considered by many hunters to be the best-tasting waterfowl species. Hunters on both coasts are well acquainted with these small geese, as brant migrate and winter along the Atlantic and Pacific. Those populations represent separate subspecies, with the Atlantic brant (Branta bernicla hrota) differing in plumage from their Pacific cousins (Branta bernicla nigricans). Brant are primarily coastal birds, nesting in low-lying coastal tundra and feeding extensively on aquatic vegetation. Recently, some Atlantic brant have begun feeding short distances inland on grass and cereal grains. We didn’t include this in the light-goose group because you might never see an emperor. Almost 90 percent of the world’s population breeds along the western coast of Alaska, and emperor goose numbers declined considerably from the mid-1960s through mid-1980s. Biologists opened a limited subsistence hunting season on the birds in 2017 — the first in 30 years. More than duck hunting, goose hunting has two main fronts: water and agricultural fields. Brant are the exception, of course, as most — especially Pacific brant — feed mainly along tidal flats or other waters. North American geese — Canadas, cacklers, specks and light geese — roost at night on relatively open water. They start to mill about as the sun rises and then typically fly to a feeding area — usually a field — at some point in the morning. Sometimes, geese head out before sunrise. Often, they fly much later than ducks, waiting until sunrise or even later to lift off. If not disturbed, geese will usually feed for an hour or two and then leave the field about midmorning. Some birds return to their roost water to loaf and get a drink, but many use smaller waters — marshes, potholes, stock dams or even wide areas in rivers — for loafing. Then, assuming the weather is fairly consistent, they usually make another feeding flight in the evening before returning to their roost water. However, geese might feed most of the day in fields during rainy or snowy weather. When you locate a field geese are using, pay attention to how birds approach the area during various wind conditions, and note where they land. That’s what field hunters call "the X," and it’s usually close to the best and most abundant food in the field. Most goose hunters prefer to hunt ag fields, so that’s where we’ll start. Field-hunting carries several advantages. First, provided you’ve scouted thoroughly and have located a field geese are using regularly, you can set up at their destination, which eliminates a lot of guesswork. Also, because geese are relatively late risers, you typically have plenty of time in the pre-dawn or mid-afternoon to unload and arrange decoys, and to conceal yourself or your blinds. And of course, you eliminate the hassle of having to use a boat. Scouting is the key to successful field hunting. As mentioned in the dark goose section, geese eat various grains, grasses and other plants. Often, they take advantage of the best available food source near a roost water. During late summer and early fall, that often means small grains, which farmers typically harvest early. Wheat, rye, oats, barley, peas and other small grains attract birds, so it usually pays to start your search there. Later in autumn, as bean and corn harvests progress, geese switch to those fields. And again, geese love greens, too, so they’ll also feed in mowed hay fields or freshly cut food plots. Those are good general guidelines, but keep an open mind when scouting fields. Glass likely areas at sunup for birds in the air or on the ground. Expand your search in a grid pattern, checking any likely fields near a major roost. Or, better, start at the roost, and watch geese as they fly off to feed. Note the direction of their travel, and then follow them in your vehicle to find the hotspot. This can be difficult in areas with lots of traffic or few roads, so it might take you several days to nail down the hot field. When you locate a field geese are using, pay attention to how birds approach the area during various wind conditions, and note where they land. That’s what field hunters call "the X," and it’s usually close to the best and most abundant food in the field. Ideally, that’s where you will set up. Also, look for cover in the field that might help conceal your hide, and identify potential ambush sites — a fence row or rock pile — that might make a good setup spot. You can typically get one really good hunt at a hot field. After you shoot into a few flocks, though, things get dicey. Geese might return to an especially tempting food source, but they often wait a few days before doing so and are exceptionally wary when they do. Otherwise, birds might simply relocate to another field. This often depends on the number of decent feeding options in an area. You’ve likely deduced that hunting fields requires you to gain access to private ground. Some folks lease consistently productive fields from landowners, and that can be a good option. However, because geese might switch feeding areas fairly often, it’s often better to simply ask permission from landowners to hunt their fields. In some areas — typically regions with relatively light hunting pressure — this can be easy. Most farmers don’t like geese, and many are glad to see someone chase them away. In other areas, however, landowners might be protective of birds, tired of constant inquiries about hunting or keen on the prospect of selling hunting rights to the highest bidder. That’s their prerogative, of course. The bottom line is that it never hurts to ask a landowner if you can hunt. The worst he can do is say no. Be polite and to the point. Tell the landowner how many people would hunt the field and when they’d be there. Promise to abide by all hunting regulations, and ask about any special considerations — parking, fences, cattle, buildings or new crops — that might concern the landowner. One more hint: Some farmers don’t mind if you drive on their fields, especially if they’ve been harvested and the ground is firm. If it’s muddy, however, they usually prefer that you travel by foot. Either way, ask before driving in. Nothing will get you kicked off land quicker than making deep ruts in a field. If you cannot locate or access a good field, don’t sweat. You can still hunt geese over lakes, flowages, rivers, marshes and other waters. In fact, you can take quite a few geese incidentally while duck hunting, simply via pass-shooting or using a goose call to lure birds closer (more on this later). But you can use several methods to target geese specifically over water. Hunting loafing waters usually represents the best option. Geese lock into these areas because they feel safe and secure there. Maybe they’re isolated or hidden from roads. Or perhaps those waters offer good visibility so birds can spot potential predators. Either way, birds usually frequent loafing areas consistently. If you can identify a loafing water, you’ll usually get a good hunt out of it. Realism is critical when hunting these spots. You must be absolutely hidden, and the scene you present with decoys and calling must make geese feel safe. Often, that means using few (or no) decoys and scaling back your calling (again, more on this later). Try to set up early in the morning, and then wait for geese to start filtering in as they leave fields. Sometimes, singles and pairs will arrive first. Other times, large flocks might drop in. Be ready for either, and make the most of every opportunity. Geese often abandon loafing areas after being harassed there. You can also hunt geese on larger waters that serve as roosts. Many hunters frown on roost hunting, as pressure on these waters can move geese out of an area, ruining hunting for everyone in the area. However, you can often get away with this on large waters — the Mississippi River or a 10,000-acre lake, for example. Yes, shooting at geese will move them out of that spot for a while, but they’ll likely just use another part of the lake or river, or roost in safe open water. Sandbars on major rivers are great spots for water setups. Points, islands and shorelines near travel routes also work well. Big waters require big spreads and good calling, but we’ll discuss that later. As mentioned, the time-of-day equation for goose hunting is fairly simple. Take advantage of morning and evening feeding flights in fields. Pursue them at midmorning and midday over loafing waters or, if wet weather hits, at feeding areas. If weather conditions remain even fairly stable, geese keep pretty regular routines. As the first migrants begin to arrive — often mid-September in the North but later in the South — goose numbers swell, and hunting typically gets better. Flocks of migrant birds won’t be quite as wary, and they’ll need to search for feeding areas, which opens many options to hunters. The bigger question might be when during the season to hunt geese. The easiest answer is whenever you can. Thanks to special hunts for local Canadas, liberal regular-season frameworks and conservation-order seasons for light geese, you can chase geese at least somewhere in the United States from September through spring. Every portion of the season offers familiar yet distinct experiences. Late Summer/Early Fall: Early seasons for local birds might seem like slam-dunks, but that’s not the case. Even geese that frequent metro areas or parks and seem habituated to humans are keenly aware of predatory threats. If they arrive at their favorite cut oat field one morning and see several funny blobs on the ground, they’ll flare like they’ve been fired upon. They’re smart and sharp. As a result, special seasons for these big Canadas are a challenging treat, requiring hunters to identify good food sources, conceal themselves, set out convincing spreads and call intelligently and compellingly. Mid-Autumn/Peak Migration: As the first migrants begin to arrive — often mid-September in the North but later in the South — goose numbers swell, and hunting typically gets better. Flocks of migrant birds won’t be quite as wary, and they’ll need to search for feeding areas, which opens many options to hunters. Of course, pressured birds will quickly learn where they’re safe (refuges, urban waters) after a few days, but the consistent arrival of more migrant birds typically keeps hunting humming along until the late season. Late Fall/Winter: Many geese — especially honkers and snows — are very hardy, and will stay in areas with abundant food and open water well after freezing weather arrives. In fact, much of an area might be covered with ice and some snow, but at least some geese will usually stay. Hunting can be great during this period, as birds typically feed voraciously. However, especially with dark geese, very cold weather might limit them to one feeding flight per day, usually just before sunset. Hunting at this time is especially gratifying because of the challenge of cold weather, and because geese are loaded with fat, which usually boosts their quality as table fare. Spring: As winter gives way to spring and snow lines recede, snows, blues and Ross’s geese (along with other waterfowl, of course) begin to slip northward, and conservation-order hunters take advantage. Typically, huge flocks of light geese congregate at traditional roosts and major refuges and then feed in surrounding fields. You must stay atop their movements, however, as birds will arrive and depart an area quickly if weather and snow conditions allow. During warm springs, as in 2017, rapidly retreating snow lines spurred birds to make massive migratory flights and overshoot some traditional spots. Typically, adult birds migrate first, and juveniles follow. The latter, of course, make for better hunting, as they’re typically more eager to decoy and respond to calling than older, experienced geese. During some springs, juvenile light geese provide good gunning into April in Northern states such as North Dakota. Goose hunting can require lots of gear. Sure, as mentioned, you can take quite a few incidental geese just by throwing a few honker decoys out with your duck spread and learning some notes on a goose call. But to target geese throughout the various seasons, you’ll need specialized equipment. 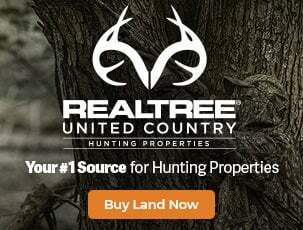 Concealment is a must, so start with a good all-around waterfowl camouflage, such as Realtree Max-5. Cover your body, plus your head, face and hands. If possible, use a camo gun, too. For field hunting, you’ll want a good selection of full-bodied decoys. You don’t need to throw out 100 every time, as small spreads can work well. However, it never hurts to have options. Even with great camo, you’ll want to obscure or hide your profile, and in many situations, that requires a blind. Standard boat blinds, like those used in duck hunting, work fine for water hunts. Panel-type or hay-bale blinds are also useful, especially if you find some natural cover — such as a tree line or fence row — which will help obscure their high profile. Specialized field blinds are probably the most versatile, as you can use these in ag fields, sandbars, mud flats or other cover-challenged spots. These are sleeping-bag-like hides over a simple frame. They eliminate your vertical outline and blend in better with natural cover. You’ll find many options, from simple, lightweight models to more elaborate, comfortable blinds. Pick the one that will work best for your situation. You’ll need something to attract geese within gun range, of course, and that’s where decoys come in. Many options are available, including keeled floating decoys for water hunting to rags, windsocks, silhouettes and full-body standing decoys for fields. Best, modern decoys are ultra-realistic, often featuring flocked heads and bodies that eliminate glare and look like real feathers. They can, however, be expensive, so you’ll want to choose wisely and get the decoys that will serve you best. If you plan to primarily hunt over water, get a few dozen floating decoys, and fit them with good decoy cord and a solid, heavy weight. Also, throw in a few field decoys, which you can place on sandbars or a shoreline to look like loafing birds. For field hunting, you’ll want a good selection of full-bodied decoys. You don’t need to toss out 100 every time, as small spreads can work well. However, it never hurts to have options. Get the best, most realistic blocks you can afford, and consider obtaining a trailer in which to transport and store them. Full-bodies are large, and you can’t fit that many in your truck bed. Also, plastic sleds or rickshaw-type carts can help you tote decoys to and from fields. It helps to mix several body postures of decoys into your spread, including lookers, which have erect heads to mimic alert geese; feeders, which have heads to the ground to imitate feeding birds; and loafers, which resemble content birds sitting or preening. If you want to boost your numbers without breaking your back or the bank, get some two-dimensional silhouette decoys or windsock decoys, which have standard heads but a bag that expands in the wind to resemble a goose’s body. These aren’t as realistic as full-bodies, but they can add depth and dimension to your spread while creating some movement. For years, rag decoys were popular with light-goose hunters. They seem to have fallen out of favor a bit, but they might provide a good option if you have a limited number of full-body snow decoys. Basically, these are just hunks of plastic or fabric cloth you can drape over stubble or sometimes turn into a windsock decoy to resemble feeding geese. Most hunters incorporate some type of motion with their decoys. Often, that’s in the form of the aforementioned windsocks or motion-type full-bodies, which rotate side to side in the breeze on a metal stake. You can also use goose flags, which are nothing more than plastic flags that resemble goose wings. Flapping these to imitate flying and landing geese often grabs the attention of birds at a distance. Some manufacturers also make flapping- or tornado-type decoy setups, and these can work well, especially with light geese. Avoid spinning-wing decoys for geese. Ducks still react favorably to them in many situations. Hard-hunted geese do not. There’s another element to the gear equation, and it’s probably the most enjoyable: calling. Most geese are very talkative and respond well to vocalizations from their own kind. For decades, hunters have used specialized goose calls to mimic birds and bring them close. Nowadays, you’ll find three types of Canada goose calls: resonant-cavity, flute-style and short-reed. Resonant-cavity calls are probably the easiest to operate. They use a reed held over a tone board and break naturally (think about a Canada goose’s "herr-onk" honk) with simple air pressure. Flute-style calls have long barrels that create back-pressure, which helps the calls achieve realistic sounds. Short-reed calls are by far the most popular, but they require some practice to operate correctly (more on this later). However, they can produce a vast range of goose vocalizations. You’ll also find specialized calls for light and white-fronted geese. These operate in similar fashion to honker calls, but you’ll need to use slightly different technique to produce the unique sounds of those birds. And don’t forget about electronic calls that spit out recorded light-goose vocalizations for conservation-order hunting. The bottom line? Try each style of call, and find one that works for you. And then practice. Of course, you’ll also need two other basic gear items to shoot geese: a shotgun and ammunition. Your 12-gauge duck or pheasant gun will work just fine in the goose fields. Some folks go with 3.5-inch-chambered models to accommodate those larger shells, but 3- or even 2-3/4-inch-chambered guns work just fine. A baked-on camouflage finish adds versatility, but it’s not critical. Usually, you’ll hide most of your gun in a blind or under cover, anyway. A sling really helps, though. When you’re toting blinds, decoys and other gear long distances, it’s nice to throw your gun over your shoulder for easy transport. Stout, heavy loads of relatively large shot work best for geese, especially big honkers. For steel, many hunters favor 3-inch loads of No. 1 through BBB shot. With Hevi-Shot or similar tungsten-based nontoxic loads, 3-inch shotshells with No. 2 shot work well. Pattern several loads through various choke constrictions to see which perform best. Remember, you want a choke/load combo that will deliver a solid pattern at 40-plus yards, but you don’t want something so tight that you miss decoying birds at 20 steps. After you acquire some gear and find geese, hunting them seems pretty straightforward on the surface: You determine where geese want to go — or at least where they travel — and then put yourself in position to lure them close with a combination of decoys, calling and concealment. That simple formula, however, assumes many forms. First, let’s discuss field hunting, the preferred method of many goose fanatics. As mentioned, your goal is to locate hot feeding areas in agricultural fields. When you do, the simplest way to take advantage is to identify the X (the specific portion of the field birds seem to favor), and then, as old-timers say, "put goose decoys on goose poop." That is, set up precisely where they likely want to be. Then, you want to place decoys in a realistic arrangement that will convince geese they’re looking at the real thing and, above all, conceal the hunters. A skilled goose caller can convince birds to change their flight plans and travel a long distance to check out the plaintive calls they hear. Don’t be dismayed if you’re not the best goose caller on your block. Simply strive for continued improvement to be the best you can. Let’s start with concealment, because if geese see you, other considerations won’t matter. Most geese have sharp vision and are extremely wary. To further complicate this, geese of many species — lesser snow geese and local Canadas, specifically — can live to a relatively old age and have experienced quite a bit of hunting pressure. They’re exceptionally good at picking out dangerous situations and avoiding hunters. Therefore, you must be as concealed as possible to fool these geese. Natural cover often provides a good option. For years, hunters have used hay, corn stubble, wheat stubble and other natural vegetation to obscure their outlines while lying prone in fields. Likewise, fencerows, rock piles or adjacent fields with tall crops (standing corn, for example) also provide great cover. Take advantage of this natural cover whenever possible. 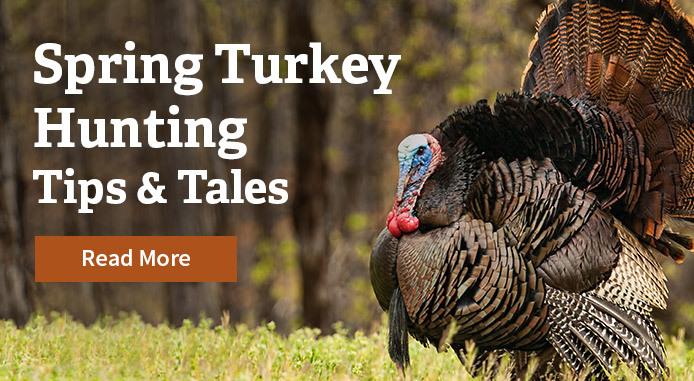 Even if that cover is a bit off the X, you’ll usually be better off setting up in a well-concealed area and trying to lure geese a bit closer with decoys and calling. Realize, however, that many geese have learned to avoid fencerows, tree lines and other likely ambush spots and prefer to land and feed in the open. If that’s the case, you’ll have to use a blind — usually a field blind, which will cover your body and gun and almost eliminate your vertical outline. Field blinds are not invisible, however, so you can’t simply throw one in an oat field and start shooting geese. Before using a new blind, blur its shiny exterior by rubbing it with mud. Let the mud dry, and then brush it off. Your blind should be dull and drab — much like a harvested ag field. Further, match your blind to the cover you’ll hunt. Often, this is as simple as taking hay, corn stalks or cut alfalfa and placing it atop your blind. Most field blinds have many loops in which you can secure vegetation. Make sure to throw plenty of natural cover atop the sack that covers your feet, as well as the sides and back of your blind. The more you cover the blind, the better. If you can't find matching natural cover, consider brushing in your blind with rafia grass or other artificial options, which are available commercially. One more consideration: Sharp-eyed geese have become very skilled at noticing odd rectangular lumps (blinds) in fields. Eliminate this by placing your blinds almost side by side. It’s easier to cover and hide one large blob of several blinds than multiple small blinds. And place several decoys around your blind to further break up any outline. When you’re satisfied with your concealment, it’s time to place decoys. But how many and in what arrangement? Much of that depends on the situation. When hunting locally nesting early-season Canadas, geese are still in family groups or extended family groups. Therefore, assuming you’re at a destination field, it’s usually best to use two or three blobs of six to eight full-body decoys to reflect that situation. Often, placing one group behind or amongst the blinds and then two to either side, with an open landing zone in the middle, works well. You’ll want more decoys when chasing larger flocks of migrant birds. Let the geese tell you how many will work. If you’ve seen 100-plus honkers use a 100-acre corn field, you can probably get away with 50 or to 100 decoys. If you’ve watched several thousand snows cover a 500-acre barley field, you obviously want to bring every decoy you can carry. Large spreads also work best when hunting over water or "running traffic," which simply means you’re hunting a field while attempting to lure in passing geese headed to another field or water. In both cases, you want maximum visibility and attraction, combined with lots of good calling. Geese likely have another destination in mind, so you’re trying to convince them they need to come closer. Big spreads provide the illusion of a secure, desirable location. Large water and field spreads can take many configurations: V’s, J’s, U’s, blobs or even long, loose groups of birds. The common denominator should be an open area — or several — in front of and within easy range of the shooters. This is called the kill hole. Usually, relatively large kill holes are more appealing, as big groups of geese require a fair amount of room to land. However, you don’t want to spread your decoys so wide that the outer blocks are out of range. The composition of your spread is also important. Remember, in field situations, geese are feeding, so you want to use lots of feeder decoys — in some situations, perhaps up to 70 percent. But it’s also important to throw in several lookers. When you see geese in a field, it’s amazing how many pop their heads up from time to time to check for danger. Reflect that in your spread. Also, relaxed-looking loafer decoys are always a nice touch. Set most of your decoys facing into the wind, because geese will land into and often feed into the breeze. Place some at different angles, though, to imitate geese walking about. And remember to mix in motion decoys wherever possible. With a realistic spread complete, you’re ready to finish painting the scenario with calling. Like turkey hunters, goose nuts love to call, and for good reason — it works. In many situations, you can kill dark and light geese with very basic, somewhat realistic vocalizations. However, you’ll have more success if you work to attain maximum realism and a broad repertoire of sounds. A skilled goose caller can convince birds to change their flight plans and travel a long distance to check out the plaintive calls they hear. Don’t be dismayed if you’re not the best goose caller on your block. Simply strive for continued improvement to be the best you can. The first step, as mentioned, is to obtain a call or calls with which you’re comfortable. Then, learn to master basic vocalizations. With Canada geese, that’s a basic honk and the shorter, sharper cluck. For snows, it’s a nasally one-syllable honk. For white-fronts, it’s a high-pitched two- or three-note laugh or yelp. After you grasp the basics, learn as much as possible about the language of geese. Snows, specks and Canadas use numerous vocalizations to communicate. In fact, some folks estimate that honkers utter dozens of distinct sounds, including moans, whines, feeding calls, comeback calls and others. You’ll probably never master them all, of course, but it helps to learn as many as possible and know when to use them while hunting. Remember, you’re trying to talk to geese and convince them you’re one of them. Describing vocalizations and explaining their meanings in writing probably won’t help you much. Likewise, it might be wasted effort to provide a basic tutorial about how to operate a goose call, especially the somewhat challenging short-reed model. 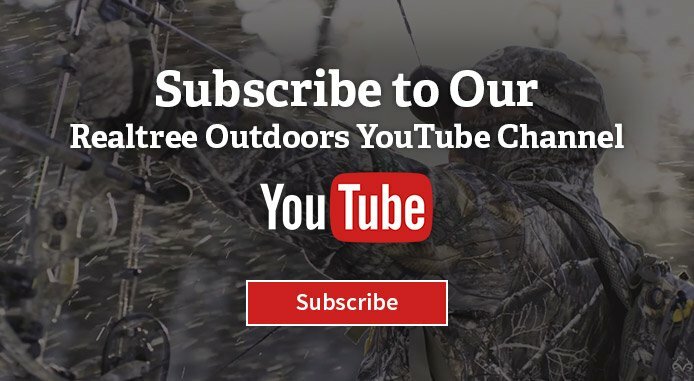 Instead, it’s probably best to check out the many video and audio calling tutorials available nowadays, whether via call manufacturers or simply on Realtree.como or YouTube.com. Seeing someone use a call, explaining the process and hearing the resulting sound usually helps neophyte calls connect the dots better. As you become a proficient caller, you’ll be tempted to blow that thing whenever you see a dot on the horizon. There’s nothing wrong with realistic calling, but use your head. Note how birds react to various calls in different situations. Generally, if geese are vocal, you should get vocal. If they’re relatively quiet, it might be wise to tone down your calling. Read the birds, and let them tell you what they like and don’t like. You’ll find no secrets here. Shooting a flying goose isn’t much different than any other type of wing-shooting. Practice shooting clays during the off-season, and then let your natural hand-eye coordination move that gun. Stare down your target, swing smoothly yet aggressively through the bird and then slap the trigger. Dead goose. Focus on the head of a goose instead of the body, and swing through that target like you would with a speeding duck. Problems arise when shooters take geese for granted. The birds — especially big decoying honkers — are so large that they appear to be moving slowly. As a result, hunters often slow or stop their shotguns and shoot behind birds. Unless their feet are extended and their wings are back, geese are not moving slowly. In fact, they can flat-out hustle. Focus on the head of a goose instead of the body, and swing through that target like you would with a speeding duck. That simple practice coupled with solid, aggressive gun movement and follow-through will improve your goose shooting percentage immeasurably. Calling the shot is another important consideration when goose hunting. Sometimes, when things work to perfection, it’s easy. Geese approach your setup, lock their wings and prepare to land in front of you. Just before their feet touch the ground, you rise and shoot. You’ll probably kill a bunch. However, it doesn’t work that way every time. Geese sometimes merely pass over your spread at the edge of range. Or pressured birds will circle endlessly, often skirting the edge of range at the far reaches of your decoys. Many times, one or two birds will commit and land just feet from your blind while a larger flock circles. Do you take the easy birds or wait for the home run? When hunting over water or running traffic in a field, it’s often wise to call the shot at the first decent opportunity. You won’t get many doubles or triples that way, but plucking a few geese from a flock is always better than watching them flare and wave goodbye. Other than white-fronts, geese get a bad rap. You’ve heard the old joke about how to cook a big honker, right? Place the goose breasts on a cedar board, bake them at 350, and then throw away the meat and eat the board. The only truthful part of that statement is that it’s easy to dry out goose meat through improper preparation or overcooking. They’re wild birds, after all, so their meat does not contain much fat. But if you keep geese moist during and don’t overcook them, the meat — breasts, legs or whole birds — is savory and delicious. Think about their diet. They primarily eat vegetation, including tasty grains that humans enjoy. Why wouldn’t they taste great? Check out this selection of tips and recipes for cleaning and cooking your geese, and click here for more waterfowling content at Realtree.com. Also, check us out on Facebook.